Though the Word of God is likened to honey being savored, daily bread being enjoyed, rain bringing refreshing and a lamp giving direction, it is also like a fire burning up the chaff, a hammer breaking the rock into pieces and a double-edged sword piercing even to the dividing asunder of soul and spirit. A combined effect of the Word as hammer, fire and sword should have the desired purifying effect on those areas of our lives that need cleansing! There may be certain things in our lives that prevent God from working with us. Then those areas have to be dealt with. 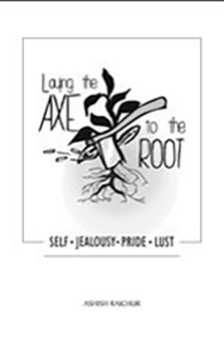 Self, jealousy, pride and lust are some of the negatives that could hinder God from working with us. When we allow the Lord to lay the axe to the root and do a cleansing work in these areas of our lives, we will be better people not only for God but also for each other.